Total Patient Care is not only curing and managing the patient's disease but caring about their physical, mental and emotional self. Total Patient Care is about empathetic listening, offering choices and respecting our patients' medical and non-medical needs and concerns. Total Patient Care also means guiding the patients through periods of great stress, which illness invariably brings. Above all, it means respecting the patients' choices and confidentiality. Max Healthcare is committed to quality care that not only addresses the illness but also concentrates on the overall wellness of the patients. We continuously strive to provide international patient care standards in order to satisfy the patients' and their families' needs better. At Max Healthcare, physicians and healthcare specialists follow a patient centric approach; understanding each individual,s needs and meeting them with the highest standards of care. Total Patient Care is not only curing and managing the patients' disease but caring about their physical, mental and emotional self. Total Patient Care is about empathetic listening, offering choices and respecting our patients' medical and non-medical needs and concerns. How do we take care of you? Transfers between the airport and the hospital. Currency exchange and wire transfer facility. Regular updates on the patient's progress. Foreign Residents Registration Office (FRRO). International insurance facilitation help desk. Diagnostics and treatment at the hospital. Travel arrangements to Delhi on a turnkey basis - including visa, ticketing, pick-up at the airport, money transfer and exchange, ATM withdrawals. Exclusive 'Help Desk' and a dedicated Relationship Manager to ensure smooth services. Boarding and lodging assistance to suit range of budgets. All arrangements for return journey. a total bed capacity of 200 beds (Suite, Deluxe, Standard and Economy). 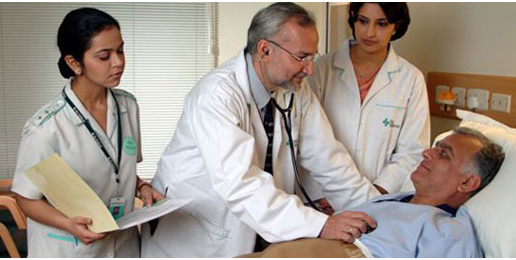 The clinical services are supported with the most advanced in-house diagnostic services. It is also equipped with a state-of-the-art emergency response and management system. peripheral doppler ambulatory BP monitoring. electrophysiology & arrhythmias services angiography (coronary, carotid, renal, peripheral). angioplasty (coronary, carotid, renal, peripheral) adult & paediatric congenital cardiology interventions. paediatric cardiothoracic surgery vascular surgery. 1.5 Tesla MRI 500mA X-ray high-resolution ultrasound. NABL accredited open 24 hours a day fully automated instruments interfaced with hospital information system and laboratory information system. haematology microbiology immunoassay histopathology electrophoresis. It equips people with lifestyle modifiers to prevent the incidence of cardiac disorders. Appropriate clinical nutrition therapy is provided, customised to the patient's requirement. A team consisting of a cardiologist, physiotherapist, psychologist and a dietician conduct holistic care sessions (such as individual & group counselling) for pre & post operative patients. a specialised dialysis unit conforms with international standards. haemodialysis for patients with end-stage kidney disease/requiring renal replacement therapy. located on the 1st floor. two state-of-the-art flat panel cath Labs. state-of-the-art digital subtraction angiography facility. embolisation of techniques for AV-fistulas. endovascular management of : - complex vascular problems. abdominal aortic aneurysms by stent graphs. fully equipped advanced cardiac life support ambulances state-of-the-art emergency response and management system. NABL 15189 :2007 accredited lab. Fully automated 24x 7 lab with state-of-the-art equipment. Fully integrated lab information system interfaced with Hospital Information System across all the eight hospitals of Max Healthcare.